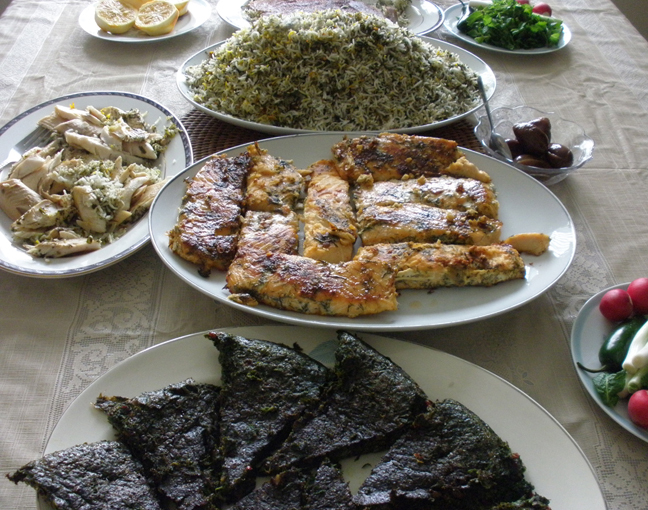 I promised to post Iranian norooz-specific traditional dish, mixed herb rice and fish (sabzi polow mahi), since traditionally it is prepared and served on the first day of spring (often, along with kookoo sabzi). Well, better late than never! The good news is that the recipe I have here is the easiest AND the most delicious one – cross my heart! Special thanks to my sister, Atefeh the chef!